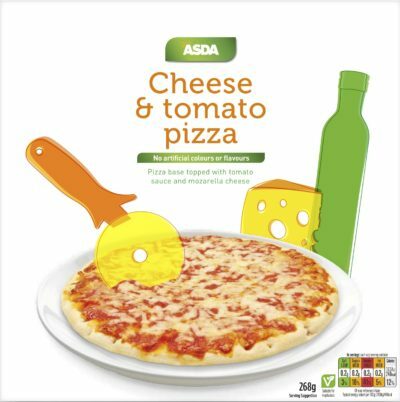 With a new mission to help customers ‘Save Money, Live Better’, Asda needed to review and reposition their extensive own label offer. Over the course of several projects, The Big Picture provided the team with consumer insight and design guidance to help agree a design differentiation strategy that could be rolled across the range. 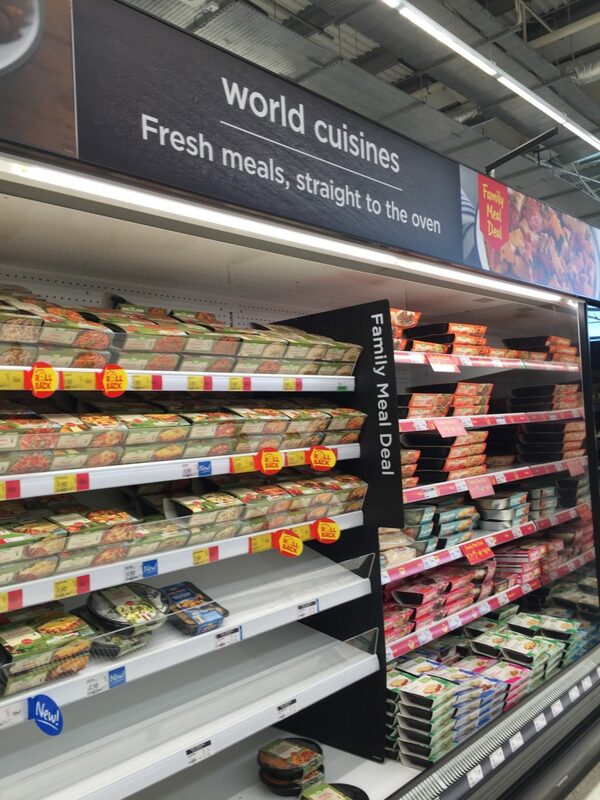 We created actionable design strategies which outlined the appropriate level of flex for the thousands of individual products within each tier, whilst ensuring the consistency and coherence needed to establish the tier’s identity. 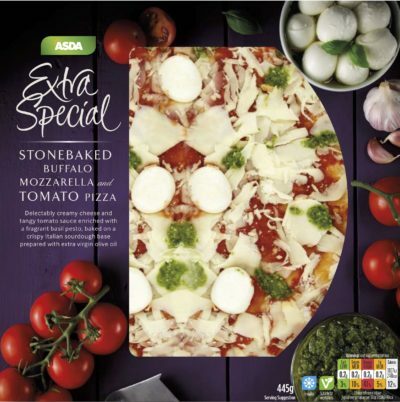 At the crux of the project was a need to redefine and differentiate the tiers within which Asda’s products were arranged, from opening price point (Smartprice) and core tiers (value and plus) through to premium (Extra Special). 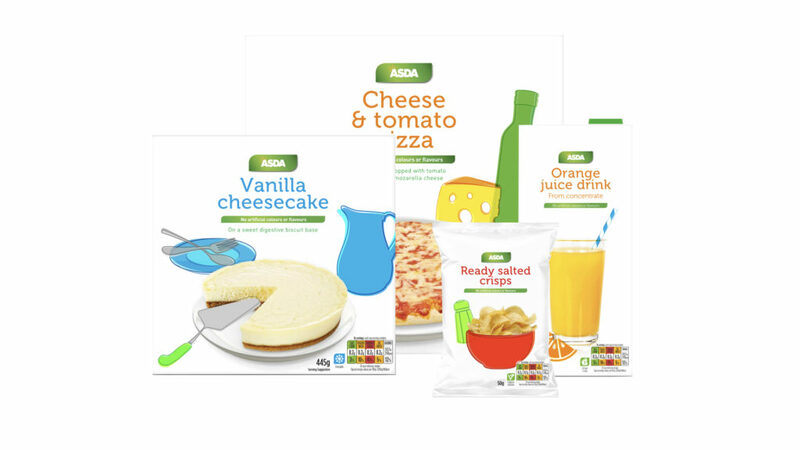 Asda’s ‘opening price’ tier contains popular, great value products with a simple design style that differentiates the range. 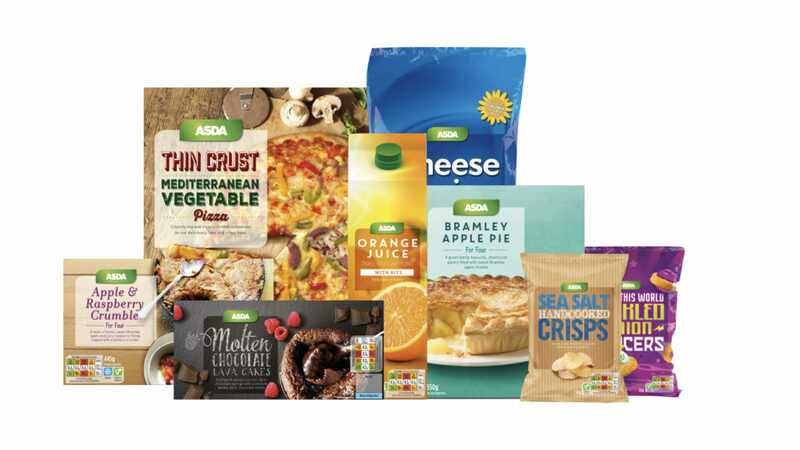 With consistent design styles for opening and premium price tiers, Asda’s mid-tier is afforded much greater room to flex evocatively to different category codes. 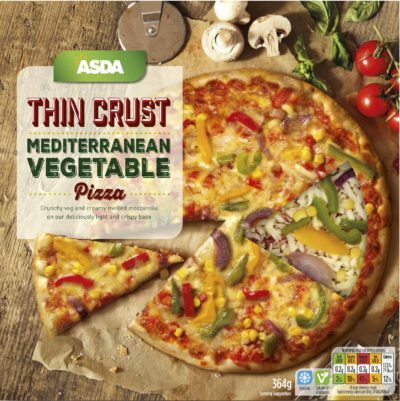 Mid-tier is Asda’s most extensive own label offering, so the ability to echo the codes of each category is important. 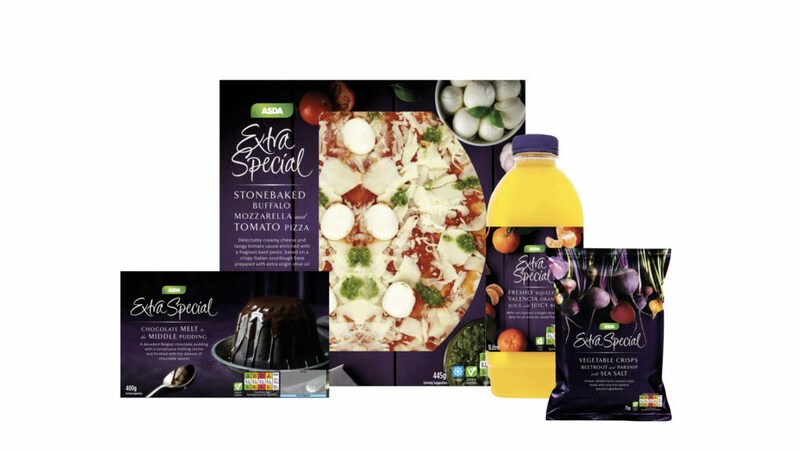 Asda’s Extra Special tier introduces rich, purple colourways that cue indulgence. Greater emphasis on delicious, fresh ingredient photography and use of transparency, help make a range that’s perfect for those special occasions. Our design guidelines helped the foundation of a strategy for six design agencies who applied the approach across all of the retailer’s SKUs.